serving Atlanta, and its surrounding cities. The automotive industry is what Open Sesame has the most experience with. We can cut 95% of keys on site. We have many different remotes for many different types of vehicles. We offer lockout services 24/7. 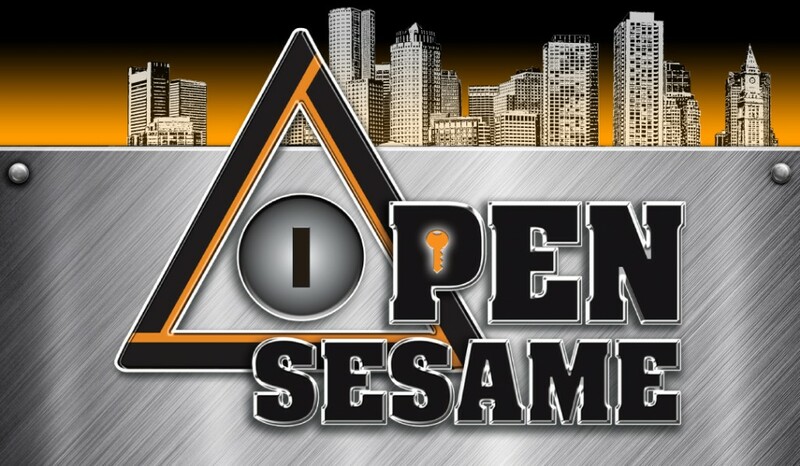 Open Sesame is the Atlanta locksmith that knows the most about automtive locksmithing. We can take care of any car locksmith need that a resident or business of Atlanta, Kennesaw, or Marietta could throw at us. 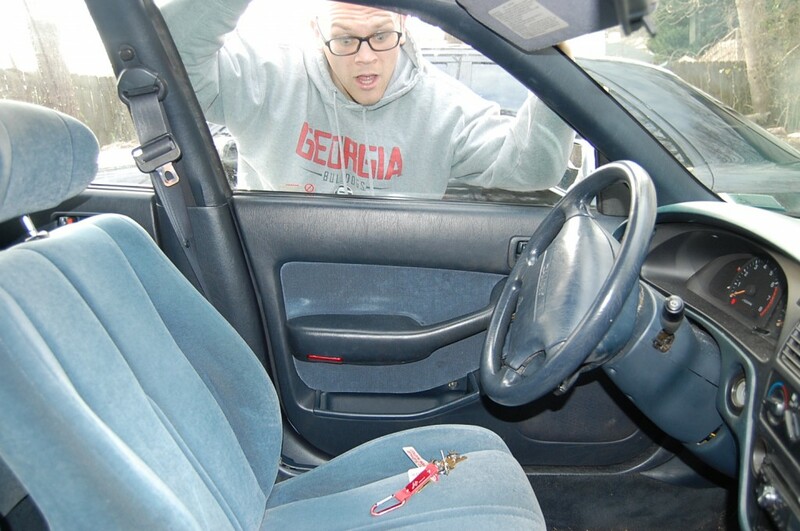 The locksmith industry in Atlanta has a bad reputation when it comes to Auto Locksmiths. This is because there have been scam companies created to try and take advantage of Atlanta patrons. These companies use tactics, like telling customers that they will charge $19 for a lockout. Then once they arrive they hike the price up and charge whatever they feel like. Since most people are very non confrontational, most people just pay and get on their way. This practice is the reason Open Sesame came into business. Open Sesame always thinks about the customer first. We always quote upfront prices and never change our price, once we arrive. This is why Open Sesame is the #1 Atlanta car locksmith. When people think about car locksmiths the first thing that comes to mind is lockouts. Atlanta Car Lockouts are Open Sesame's #1 service. We have unlocked over 5000 cars in Atlanta since 2011. This number increasing every day as we average 5 lockouts per day. Open Sesame offers a $50 car lockout service, which depends upon the location of the customer. Call Open Sesame today for any Atlanta Car Locksmith question. Owning or renting a home, apartment, or condo brings many responsibilities. Making sure that loved ones are safe is the most important responsibility. Entry points are the first level of security for any residence. Making sure doors have secure locks professionally installed should be number one priority. Open Sesame provides it's customers with options related to new installs, whole home re-keys, strike plate installation, lock repair, and residential lock out services. Open Sesame has offered residential locksmith services since 2013. The need for this service is growing every day. Real Estate in Georgia is currently booming. This is very much true for Atlanta, Kennesaw, Alpharetta, Woodstock, and Dallas. These areas have grown more than any other area in the past 3 years. Any time a home is moved into, a locksmith should be called immediately. This is because there is no way to tell who actually has a key to the residence. Call Open Sesame today and we will come and take care of any Atlanta locksmith requirement needed by you. We install all types of locks. Most of the types that our customers require here in Kennesaw or Woodstock, are Schlage or Kwikset locks. These are all properly installed by our technictions. We can either replace all locks with new hardware that we always have on stock when we arrive, or we can rekey the hardware that is already in place on the premesis. We specialize in professionally installing door hardware in all types of homes. There is a wide variety of doors. Some doors can make isntalling locks tricky, however you don't have to worry when Open Sesame is on the scene. We always make sure the job is done 100% correct. Atlanta Locksmiths offer many types of residential services. These services all can come at different prices. Open Sesame likes to be up front about pricing and will always give a quote over the phone if applicable. There will be a valid reason given, if the job cannot be given a quote over the phone. Call Open Sesame today for any residential locksmith service question. Commercial businesses require a whole different level of security and durability when it comes to the doors and security systems that are installed. These must be done by professionals and professionals only. Open Sesame offers many different commercial locksmith services for Atlanta and Metro Atlanta. These services include, commercial re-keys, commercial installs, commercial high security installs, exit bars, and full blown security systems installs. Commercial locksmith needs cover a wide variety of issues. These issues can be tackled in a variety of ways. Open Sesame likes to first make sure that all door locks are installed correctly and have the correct level of security for the type of business. Second Open Sesame will make sure that the quality of the installations, currently on premise, are up to par. Since commercial businesses get lots of traffic, there is a high potential for damage or ware on various pieces of the security system. These pieces could include the actual locks themselves, or the door hardware that the locks interact with. Whatever the ware may be, Open Sesame will replace and install new hardware, so that the security of the establishment is up to quality control standards. All commercial jobs vary in price. These can not typically be quoted over the phone and require a technician on site to give a proper quote. The quotes Open Sesame gives are always free. Most of the time we can finish the job immediately after the quote. Our technicians keep all the tools and materials on them. Call Open Sesame today to discuss any questions about commercial locksmithing needs.